On the surface it seems to be only fair to implement tolls in CT, to put us on a par with our neighboring states. After all, why should we be forced to pay tolls as we work our way through Mass on the way to the CAPE or to Boston, or through NJ on the way to the beach, when our out of state friends breeze through CT without paying a dime in tolls. 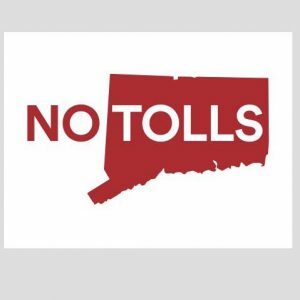 There are several reasons why tolls are wrong for CT.
First, the differences in toll roads in MA, like the MA pike, vs 91 and many of our other roads. On the MA pike, exits are 10 to 20 miles apart, and it would be difficult to make your way across the state without getting on the highway. 91 thru Enfield has what, 5 exits alone? Even if one gets closed, it is way too easy for folks to get off and on throughout the state if they want to avoid the tolls. Even if out of state folks choose to stay on the toll roads, the locals will avoid it at all cost. This will cause increased traffic on Route 5, and other similar roads. Second, even if you can implement tolls for out of state truckers only, which so far has been deemed illegal, and now it seems would not generate enough revenue for our greedy state leaders, do we not think those increased trucking costs will get handed back to consumers through the pricing of their goods? Third, with the planned tolls on 91, 84, 95, 8, 9, 72, 15, 291 and 691, CT residents won’t be able to get to their jobs without being taxed. It is estimated that 70% of the revenue will come from CT residents. Of that 70%, the majority would come from passenger vehicles…that’s you and me driving to work, to visit family, go shopping, or whatever. That equates to over $400 million coming from people like you and me. Tolls can be 7 miles apart…that’s not very far. I live in the south end of Enfield, and I often hop on 91 to get to locations nearer the border, but not anymore. We will be taxed just going from one end of Enfield to another. Want to take the quick way to Buckland Mall? It’s gonna cost you. Want to go to a doctor in Windsor? It’s gonna cost you. And most importantly, I am against tolls because I am against the state adding any additional tax structures or increased taxes to our already overtaxed residents. CT does not have a revenue problem, it has a spending problem. I don’t get to go to my employer and demand a raise because I want to spend money frivolously and without thought. I need to live within my means. It’s time CT did the same. If our CT leaders insist that tolls are a great idea in order to get our out of state travelers to pick up their share of the cost of the upkeep of our roads, then eliminate the income tax. Or the gas tax. Or the sales tax. Or the property tax. Or increase the tax credits for homeowners. Do something. Show the residents of CT that you truly are there to represent us and not just there to invent new ways to further reduce what disposable income we may have left. And do it before there is no one left in CT to tax. What Else WIll Be Taxed? Give Them Five Minutes.